Online registration is now closed. At -the-door registrations will be accepted. William Fitzsimmons, '67, Ed.D. 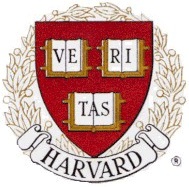 '72, is Dean of Admissions and Financial Aid at Harvard College. Dean Fitzsimmons is a widely recognized leader in his field who has transformed the student body at Harvard College over his 40 year career with his progressive admissions policies. The Dean will also field an open Q&A session for alumni. Bring all of those questions you ever had but were afraid to ask! Call (305) 445-5321 for assistance on the day of the event only. please email your information to admin@harvardmiami.org. You may also sign up at the event. Your pre-payment must be received no later than Friday, January 18.